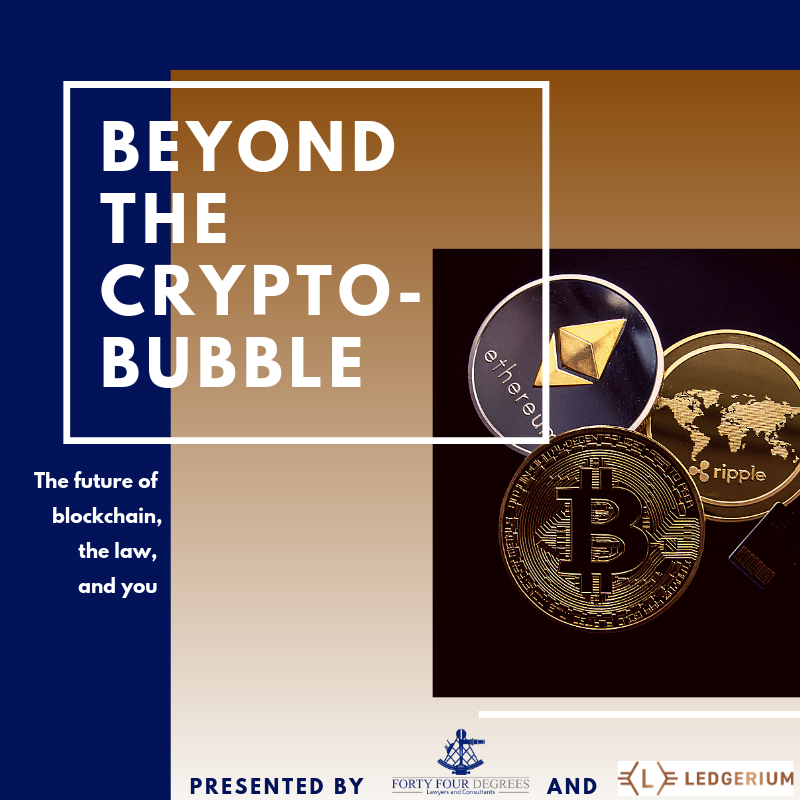 Jointly presented by Ledgerium, a blockchain-based startup, and Forty Four Degrees, a boutique law firm dedicated to doing business your way — Beyond the Crypto-Bubble explores the wider world of blockchain technology. The presentation provides an introduction not just to cryptocurrency but the wider uses of blockchain technology. Join us for a discussion on the current legal status of cryptocurrencies, regulatory considerations and concerns including ICOs and tax status, and hot topics at the intersection between blockchain and the law. Presented by Forty Four Degrees, Ledgerium. Contact Hana Lee from Forty Four Degrees.